Grassroots Emmy | Ain't gonna let nobody turn me around! Ain't gonna let nobody turn me around! Let’s Step It Up for the High Stepping Bulldogs! I am so honored and so blessed to be the Grandma of the Band! I felt so blessed yesterday to have lunch with the Westinghouse Bulldogs High Stepping Marching Band after the Pittsburgh St. Patrick’s Day Parade! There is so much to feel pride about. I’m proud of the fact that the Westinghouse Band has 9 Trumpets, 8 Trombones, 4 French Horns, 2 Baritones, 6 Clarinets, 5 Saxophones, and 3 Flutes working on the music! I’m proud of Westinghouse Band Senior and Drum Major Demetrius Allen, who has been accepted at Alabama State University! 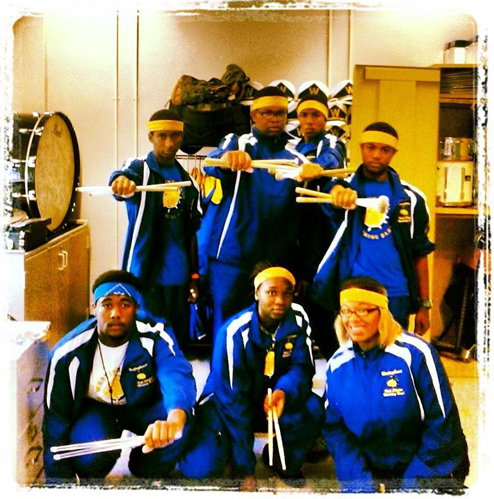 I’m proud of the Band Members that stuck together through five teacher changes and four principal changes in six years. Demetrius Allen, H-Que Moore, Celeste Nicole, and many more, thank you! I’m proud of Mr Carlos Redman, for being a great and patient teacher, a positive and supportive mentor, and a shining example for his Westinghouse Band students. I’m proud of all the donors to our campaign to raise money for the Westinghouse Band this year! These are your results, too! And, I’m proud of the Bulldogs Alumni who came and helped out when they began to hope that the Band was coming alive again, Thank you! Now, I am calling on the community of Homewood, of Pittsburgh’s musicians, Alumni of Westinghouse High, and of the Band, and Parents, Neighbors, Friends and Supporters to help us keep it going! 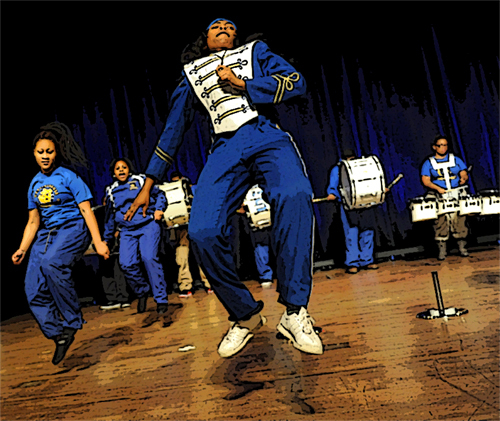 The Westinghouse Band Boosters will plan a Band Trip, a Band & Community Banquet, several fundraisers, a Community Cookout, Band Camp in the Summer, and for Homecoming, a real Homewood Homecoming Parade and Celebration! The band also needs music lessons for about 40 kids for 26 weeks at AAMI, which costs $15.00 per week per kid. We want to take them to New York to see the Statue of Liberty and perform there. We have to pay for Band Camp. We would like to send the Drum Majors and Section Leaders to a special training. And a whole lot more! Plus, they just need to see that grownups in the community care about them. They need mentors! I am Irish but I remember where my people came from, know the history of Irish slavery and those signs that said “No Blacks (to replace a word I won’t say) and No Irish, know the stereotype of “Paddy” wagon…(“Paddy” means a drunken Irishman). There is Irishness to be proud of, too, great storytellers, strong women, revolutionaries who fought for freedom, abolitionists who fought against American slavery, good farmers, men built like tanks low to the ground and strong like bulls, strong spirituality…but these people do not seem to have any of that blood…course, we have to remember that a lot of them are pretending to be Irish so they can get drunk. Again I say I am sorry for these sorry people, who cheapen the name of the Irish, destroy our reputations, and sully the memory of St. Patrick. 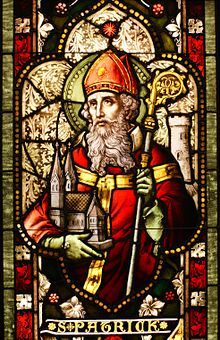 St. Patrick himself was an escaped slave. Come back often for my views and news.